Peter Paul Rubens (1577-1640) is undoubtedly the most influential of all Flemish painters. Himself indebted to Titian, Rubens became a role model to Van Dyck, Rembrandt, and Velazquez, and influenced artists well beyond his time, including figures such as Cezanne, Picasso, Bacon, and Freud. 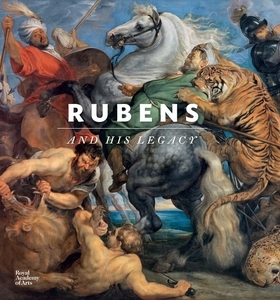 This sumptuous new volume explores Rubens's legacy thematically, through a series of sections devoted to violence, power, lust, compassion, elegance, and poetry. Each section will link artists across the centuries in their references to Rubens, from Van Dyck and Watteau to Manet, Daumier, Renoir, and Van Gogh, as well as Gainsborough, Constable, and Turner.